Incredible missionary stories from Africa that just warm your heart. Marvin and Jewell have been living in Arua for a couple of years now. 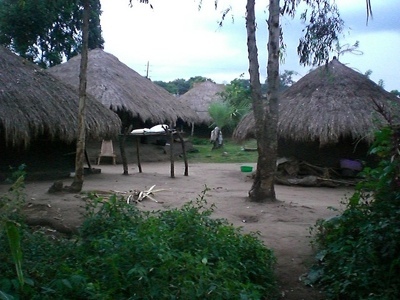 Marvin usually updates me on his progress in evangelizing this people group in the Northern Eastern parts of Uganda. This week’s newsletter really warmed my heart and I will share an excerpt with you…. We had a double blessing today as we were able to have a baptismal service. We have been waiting for the baptismal tank to fill with rain water, but it never seemed to get full. So on Friday morning the school children grabbed jerricans large and small and ferried water from the tanks by the house over to the baptistery. Ah – all was set! Imagine our surprise on Saturday afternoon when I went out to check things only to find all of the water was gone again! Now we realized why it wasn’t filling with rain water; we had a leak somewhere. What to do? We asked the children to come at 7:00 on Sunday morning and fill it up again. What a good little troop they were as for the second time in one week they hauled water back and forth to fill the tank. But it was well worth the effort because we were able to see three people follow the Lord in believer’s baptism. wedding clothes, and the church folks escorted them into the morning service. The sermon dealt with the meaning of “being one flesh” which led right into the ceremony after the service…Please join us in prayer that they will establish a Godly home that will be a testimony in their community. Pray for missionaries in the mission field. Pray for those who hear the preaching of the gospel. Pray for the church in Africa. What a great news to hear about! I know that my help and what I do is no sufficient enough but I bring clothes and food which I collect from my friends and family members and just neighbors and send them to the center and communities that help African people. I would like to see more and more people doing the same thing for them! Good luck to you with your mission as well and thank you for the wonderful post!